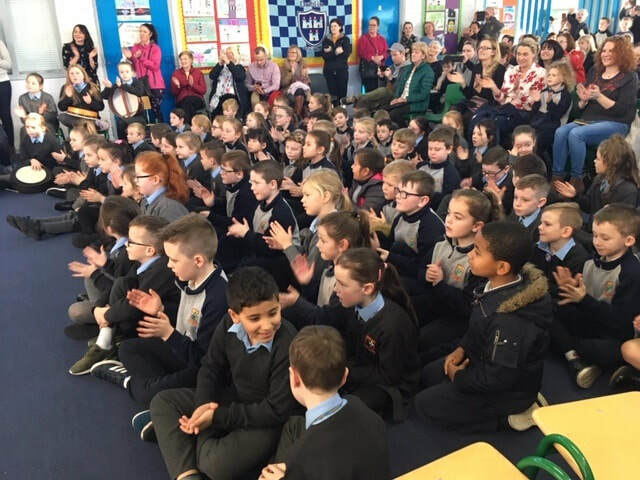 On Friday last, the 18th of January, our class was delighted to hear our principal, Ms Blake, announce Haneef as the winner of the Principal Award for that week. Haneef impressed everyone by showing us how good he was at reading another language called Arabic. Well done Haneef and a huge congratulations from everyone of your classmates. We have been really busy preparing for Christmas. 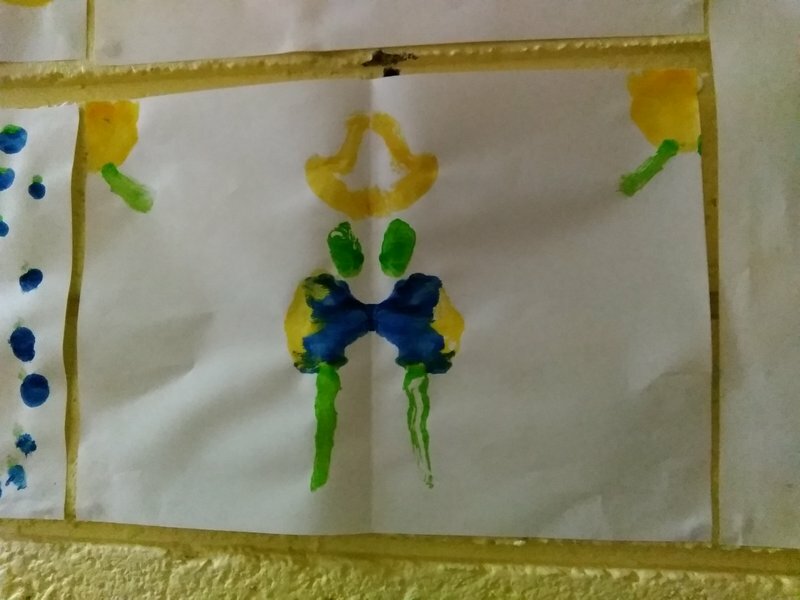 We listened to the famous Christmas song - Walking in the air - and used it to inspire us for our snowman paintings that you can see below. We have been very busy during the first week of December learning all about money. We added up lots of coins and played money bingo. Have a look below to see if you can spot some familiar faces. 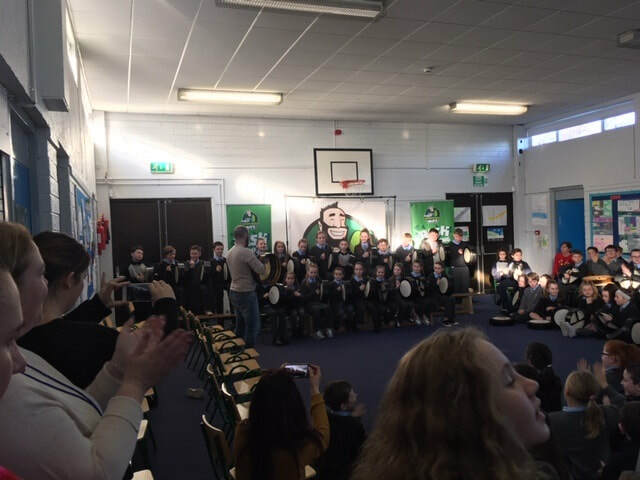 All second classes, Ms Smith's, Ms O Shea's and our class were delighted to be invited to the senior school for a bodhrán exhibition today. 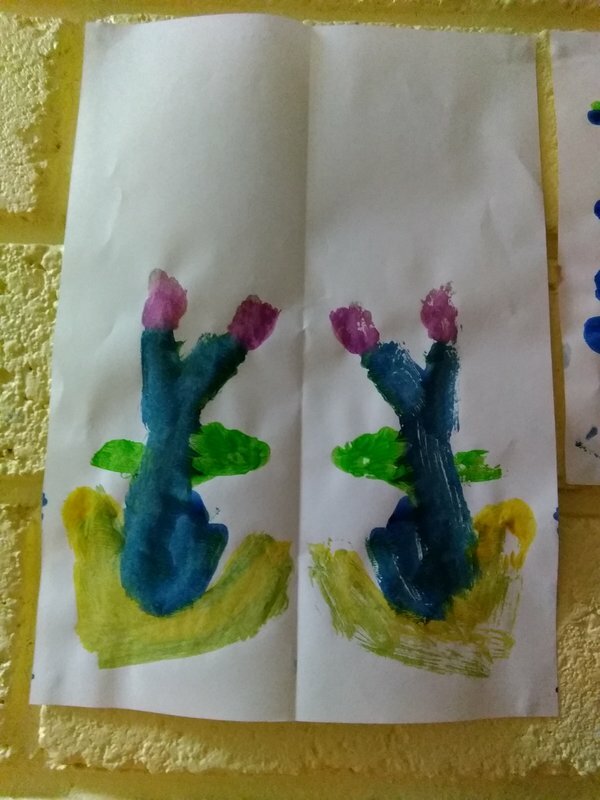 We really enjoyed the show and we couldn't believe how good they were after only 8 weeks of lessons. 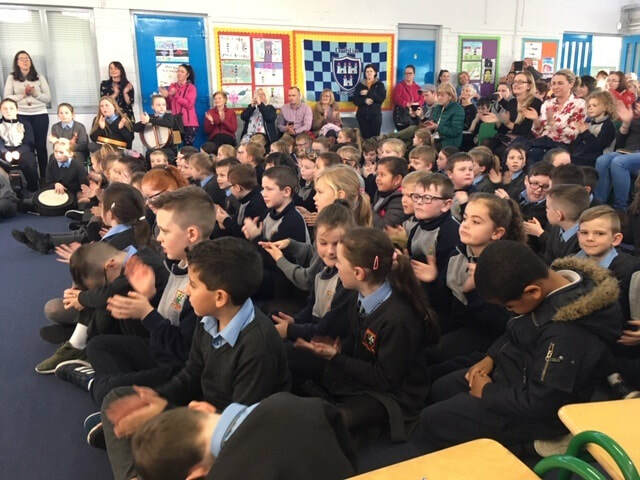 Well done 5th class. 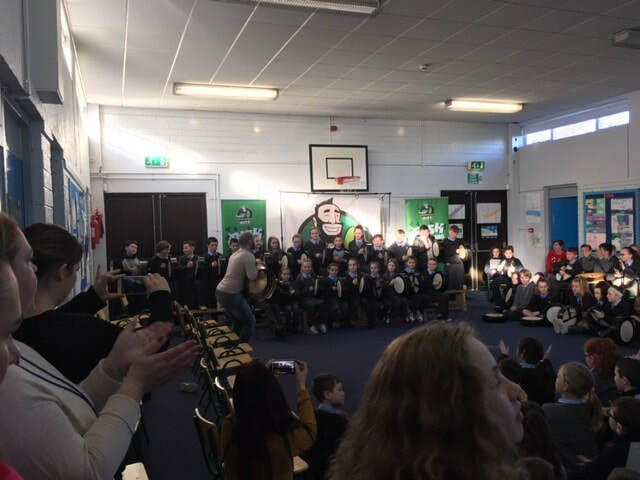 See can you spot any of our brothers and sisters in 5th class playing the bodhrán. That's us sitting on the ground with the other 2nd classes. We worked really hard during the month of November to make sure we lined up quickly, quietly and in a straight line. 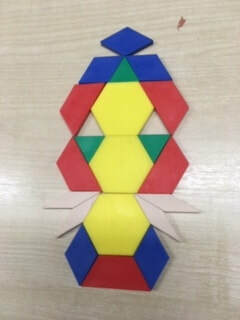 We worked so hard at it that at the end of the month, we had won more 'stars' than any other class in the school. 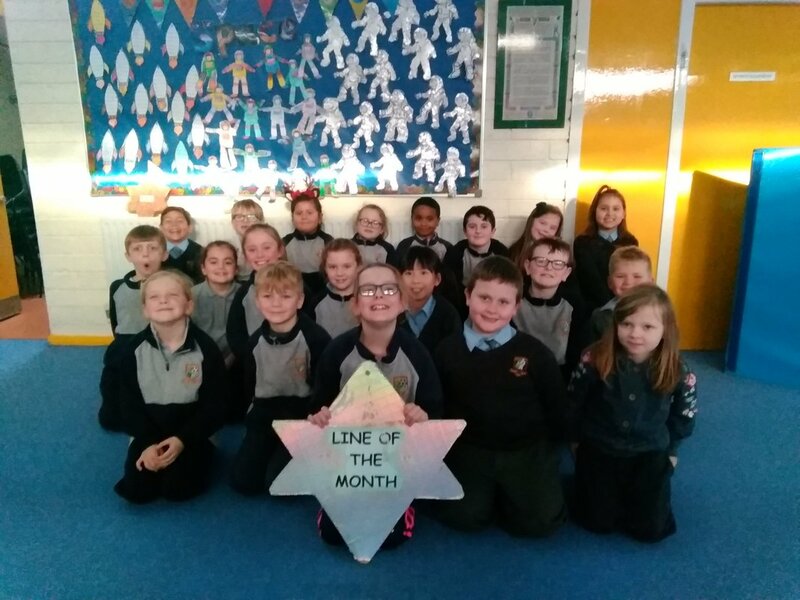 None of us could believe it when our principal, Ms Blake, announced our class as the winners of 'THE STAR LINE' for November 2018. We each won a pencil and rubber for our hard work. Below is a picture of us after we won our prizes. We were so happy. 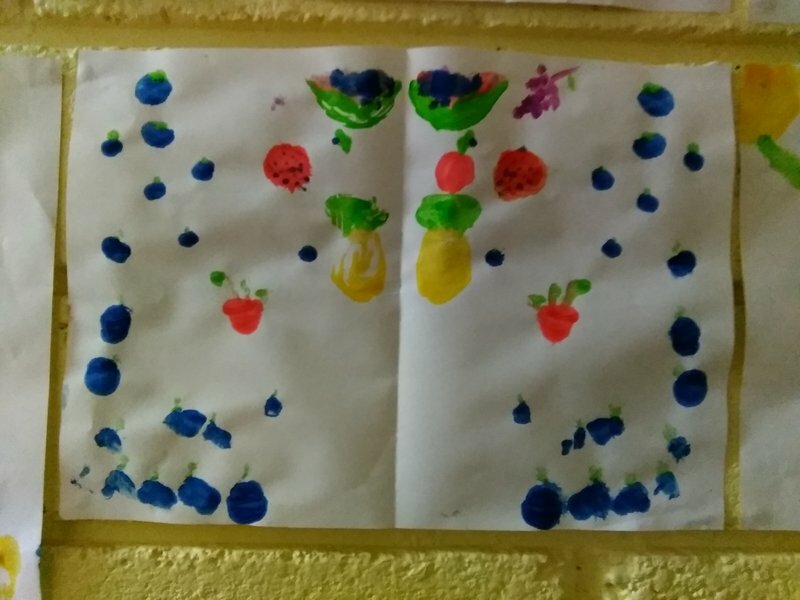 One of our pupils recently received a very special letter from a very special person indeed. 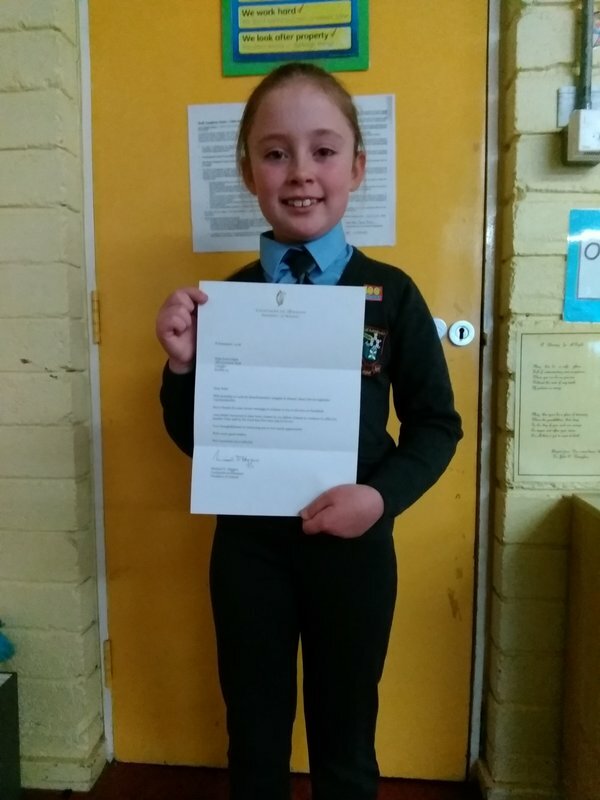 After Michael D Higgins was re-elected as President of Ireland, KL did something really thoughtful and sent our President a short letter to congratulate him on his re-election and to say that she would have voted for him if she was old enough to vote. 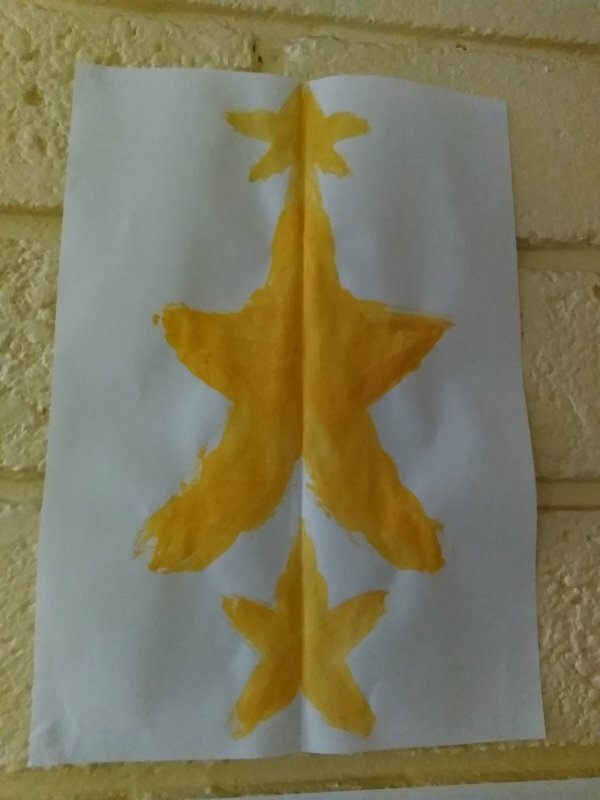 A few weeks after KL sending her letter, she received a very special letter from Mr Higgins. In it, he thanked K for taking the time to write the letter and wished her all the best in the future. 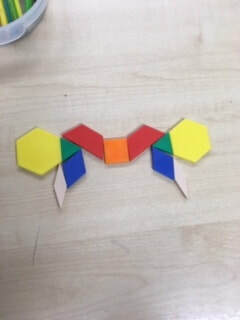 We all agree in Mr Kennedy's class that this was a really caring and thoughtful thing that Katie choose to do. Maith thú K!! Below, a very happy KL is pictured with her special letter from President Higgins. Even the envelope was special - it had a gold harp on it!! 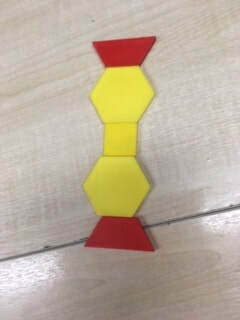 During October, we learned all about symmetry in Maths. 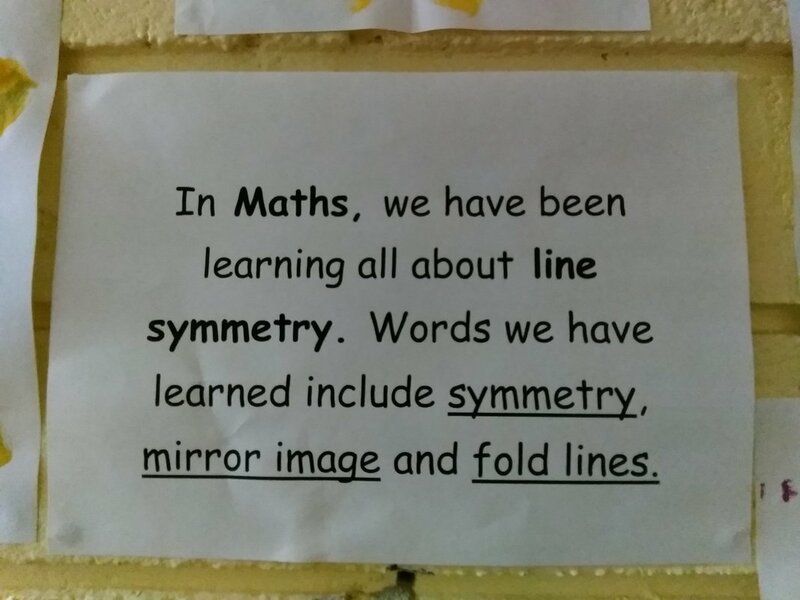 We went on a symmetry hunt through the school and recorded any symmetrical shapes or objects. 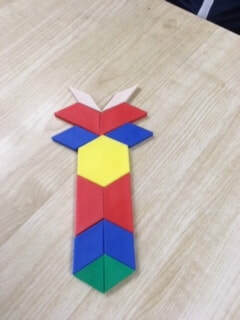 We did some symmetrical paintings in Art and we used pattern blocks to make symmetrical shapes. Have a look below.